I’ve decided to carry on the Instagram recaps for each month. August was a busy one with 40 photos, so I’ll just choose a handful of my favourites. There were various events and journeys to East London, baking extravaganzas, Holi Festival and a visit from my parents. Here’s August through Instagram. 1. Holi Festival in London. 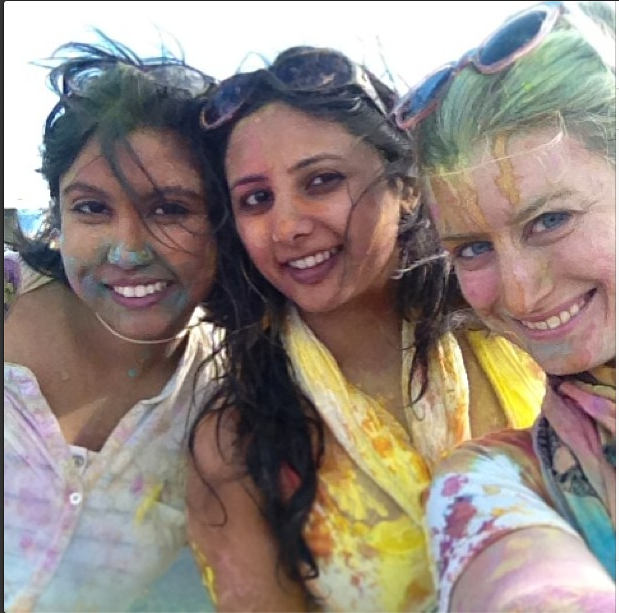 While it’s in no way comparable to the massive Holi celebrations in India, London puts on its own shindig celebrating “the ideas of togetherness and the colour of everyday life” where masses of Londoners get together to listen to DJs, throw rainbow powder, dance and hang out in the sun. Dimple, Kiran and I spent a sunny Saturday behind Battersea Power Station doing just that, and we came home that night, looking a bit more colourful than this photo that was taken sometime during the event! There’s more photos on my London blog, Little London Observationist. 3. 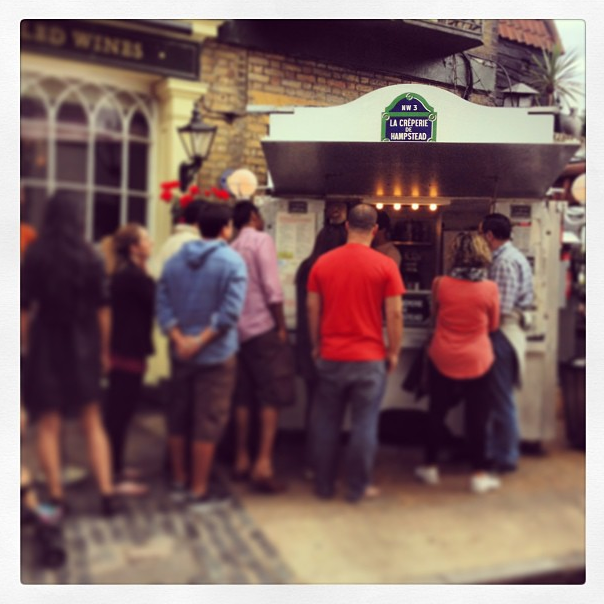 La Creperie de Hampstead. The best crepes in London can be found at this fabulous little street stand that’s been in Hampstead for something like 35 years. They’re incredibly tasty. 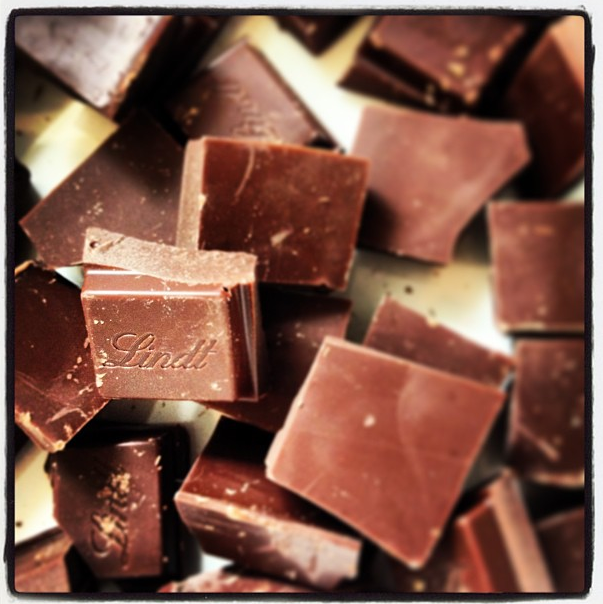 Try rum, chocolate and banana or, if you’re the savoury type, go for cheese, spinach and ham. 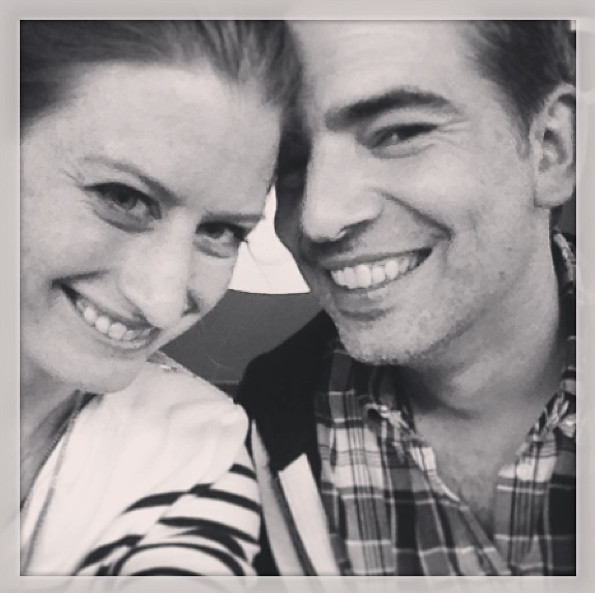 I spent the afternoon in Hampstead with my good friend Carolina, catching up and indulging in these yummy treats. Here’s some more photos from our day. 4. NHS Office. 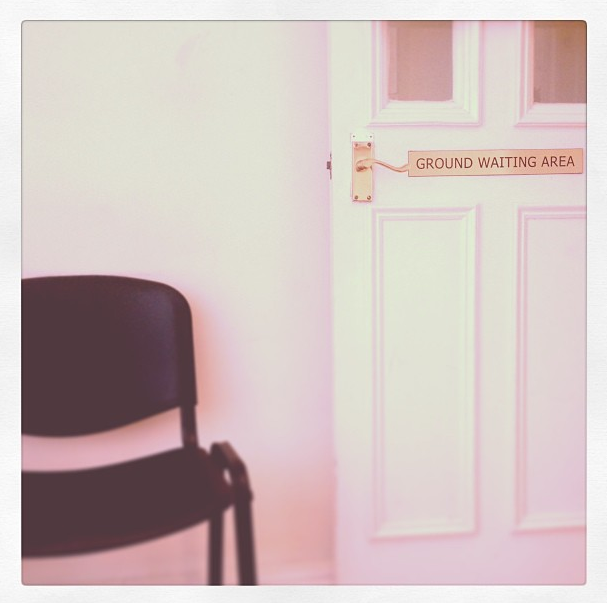 Just your ordinary bleached white waiting area in an NHS office, a bland and uninteresting place. I like it as a photograph though. It conveys the atmosphere pretty well. 5. Brompton Cemetery. 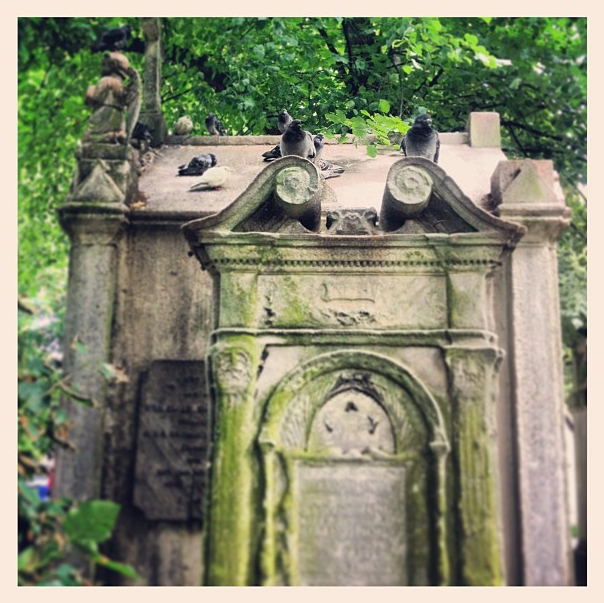 When I lived in West London’s Earl’s Court area, I went running through this cemetery often. It’s a lively place, very different from the solemn atmosphere of a typical American cemetery. People come here to eat lunch, read the paper, go for walks and just sit and relax. It’s partially overgrown but I think it adds to the appeal. These birds were just calling out to be instagramed. There are also crows everywhere and it’s so quiet you can hear the crickets chirping. More photos on Little London Observationist. 6. 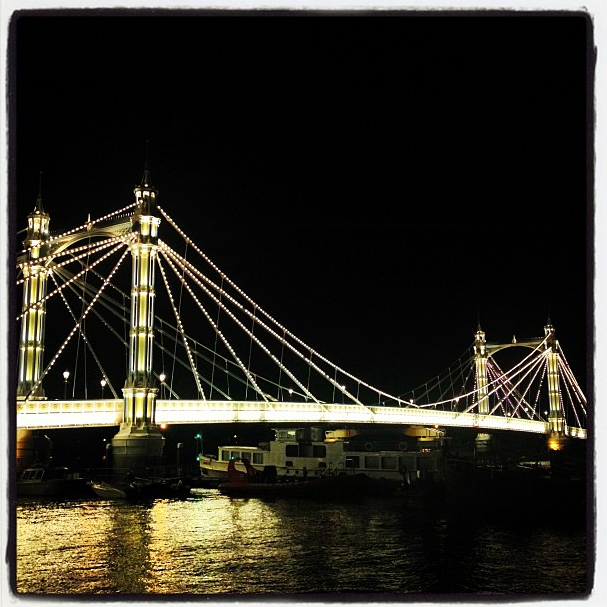 Prince Albert Bridge. About a five minute walk from our flat, this is my favourite London bridge. It is lit up at night, like a glistening spider web, but during the day it reminds me of Candyland, the game we loved as kids. It is a pastel pink coloured bridge with green and blue accents. I’ve built it into my running routine so I go over this bridge, down the river, over Battersea bridge and down the other side. 7. Chocolate. It was a rainy Saturday so I set to baking for the afternoon. This was taken in the process of making Red Velvet Brownies. Jorge and I both took batches of them to work so they were gone by Monday. Not so healthy but definitely delicious and topped with cream cheese frosting. 8. Street Art. It’s been a while since I’ve taken a walk around East London’s Brick Lane. 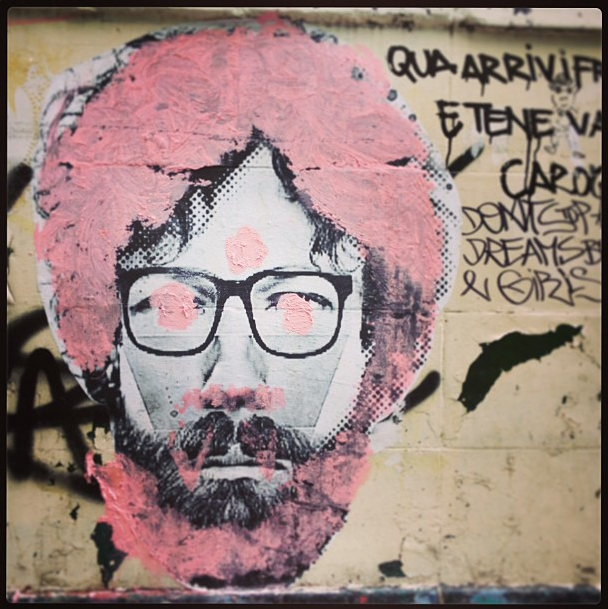 It’s exploding with street art more than ever. Down a little alleyway, I took this shot of “Incriminated” by Cliffie72. I spent some time in Petticoat Lane that day as well and then a few hours wandering through the streets that shoot off of Brick Lane taking photos I haven’t had the chance to post about yet! 9. 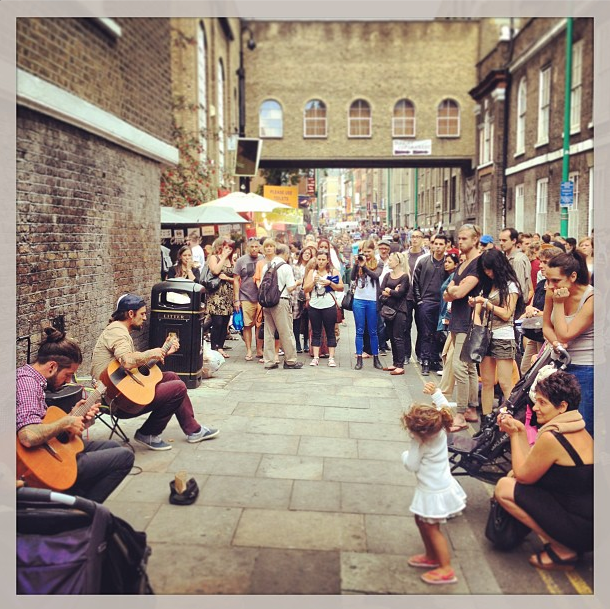 Music on Brick Lane. Just after I took the above street art photo, I walked a bit further down, under the Truman Brewery bridge and stopped to listen to these guys who had attracted quite a crowd. The little girl dancing in front of me was loving every second of it. It is a wonderfully lively, creative area of the city on Sundays – crowded, but still somehow relaxed. 10. 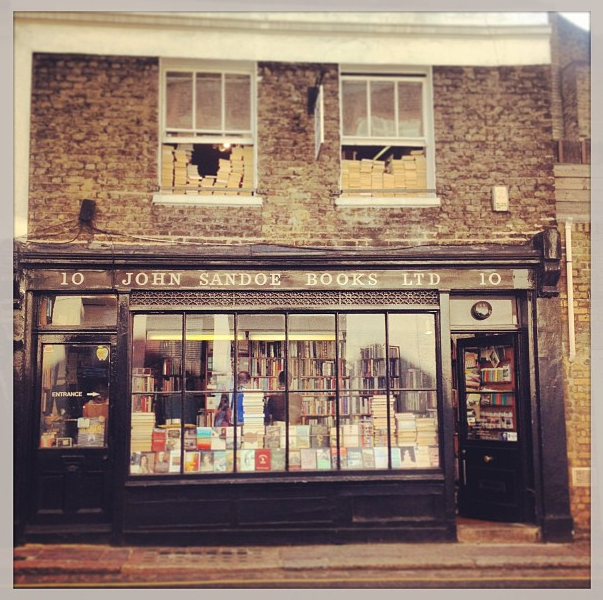 John Sandoe Books. This is one of my favourite hidden gems in London, a bookshop with stacks in window sills and piles on the floor and shelves stuffed to the brim. They have a great selection of coffee table style photography and art books. It sits on a quiet side street just off of the busy King’s Road in Chelsea and is in the process of an expansion! 11. 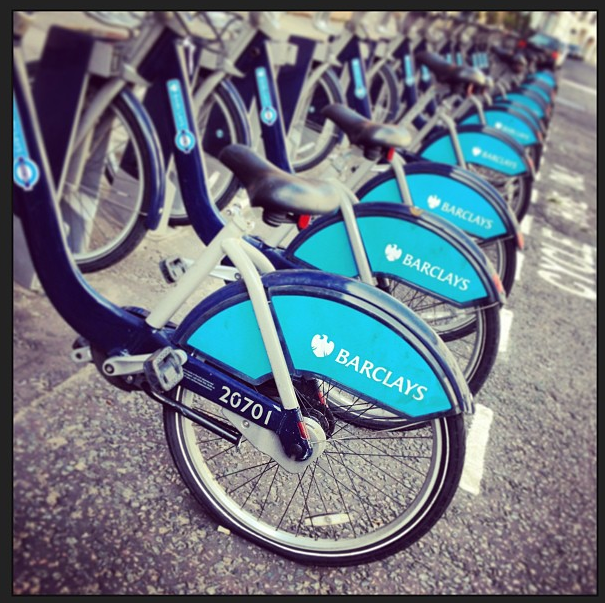 Barclay’s Bikes. I’ve always wanted to have a bike in this city, but London’s not very cycle friendly and I don’t have anywhere to keep it anyway. But there’s the “Boris Bikes” which you can pay a few pounds to ride around. One lunch break, Dimple and I decided to give them a try and, after our initial struggle to pull them out of the docks, we took them for a spin up to Hyde Park. There, on a lovely sunny afternoon, we sat and ate our lunch by the pond, watching the swans until it was time to return to work. Some more photos on Little London Observationist. 12. 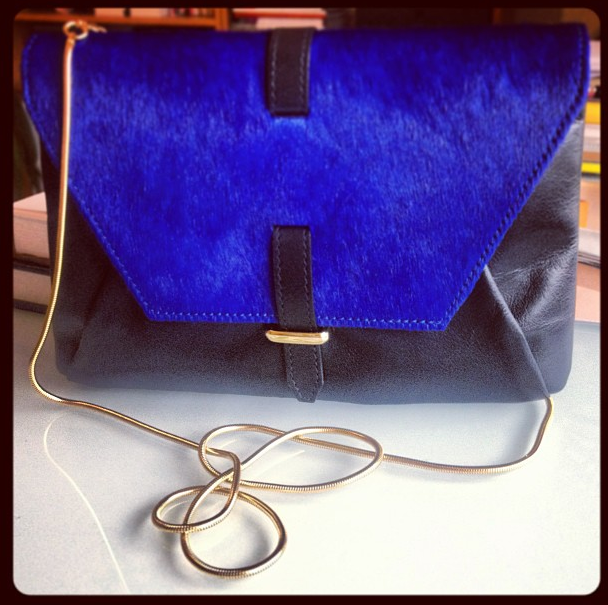 Handbag from Reiss. One day, I came home and it was a bit like Christmas in August. Jorge bought me this beautiful cross body bag from Reiss in my favourite colour (which has a delicate gold strap that comes off so it doubles as a clutch) as well as “The Iconic Portraits”, a huge hard cover coffee table book of Steve McCurry’s photography which I’ve had my eye on for ages! A very nice surprise. 13. Mom and I. My parents were in London for a weekend this month and my mom and I had a rainy Saturday together to hit the shops. After a delicious lunch at Ottolenghi in Belgravia, we headed down King’s Road and then on to Fortnum & Mason and Liberty. 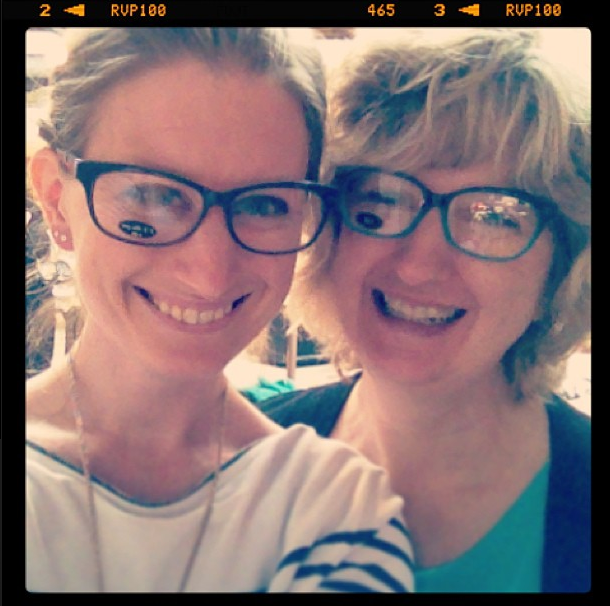 Along the way, we tried on some silly reading glasses and took this photo. 14. Black and white. After dinner at Iberica (best Spanish restaurant we’ve found in London so far) with my parents one evening, Jorge and I were waiting for the tube to head home. I remember taking out my phone to take a photo of an abandoned umbrella leaning against the Edgware Road station sign on the opposite platform. Then we flipped it on ourselves. 15. 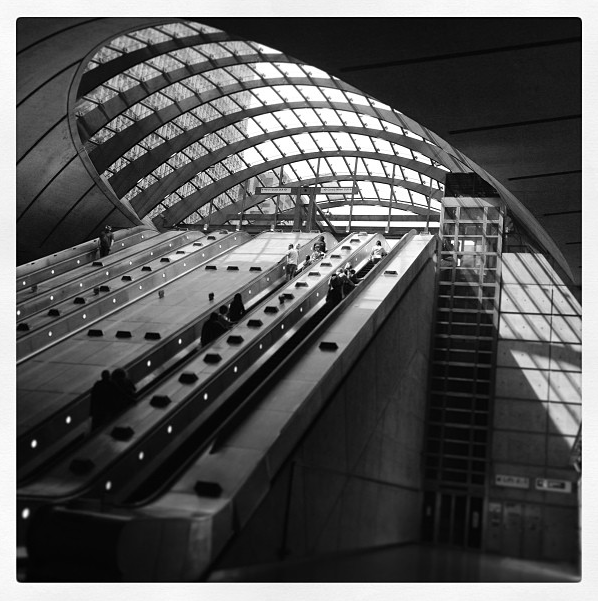 Canary Wharf. Waiting for everyone to top up their oyster cards so we could carry on our journey to Greenwich on London’s DLR train, I noticed the shadows slanting down the wall inside Canary Wharf station next to the escalators. I thought the black and white brought them out the best. The light at the top of the escalators is equally stunning. 16. 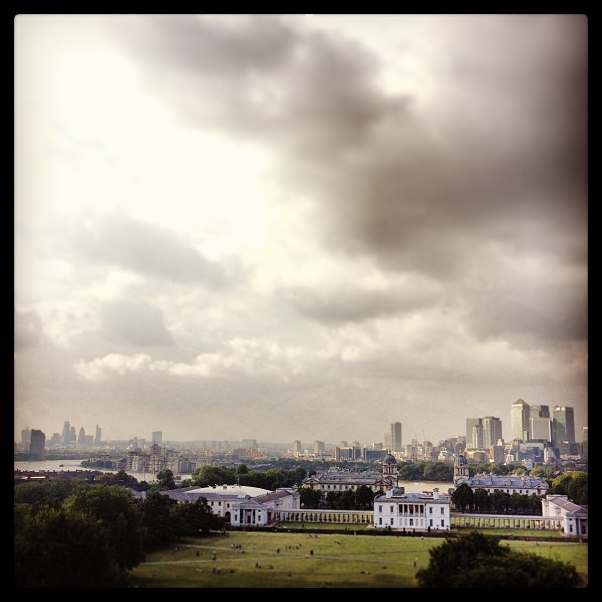 View from Greenwich. This must be one of the best view of London, looking down from the top of the hill where you can see the Greenwich Mean Time clock and stand on the Prime Meridian Line. After a stroll through Greenwich Market, I walked to the top with Jorge, my mom and aunt while the rest of the gang hung out on the grass eating rhubarb and custards and pear drops from the old-fashioned candy shop across the street. 17. 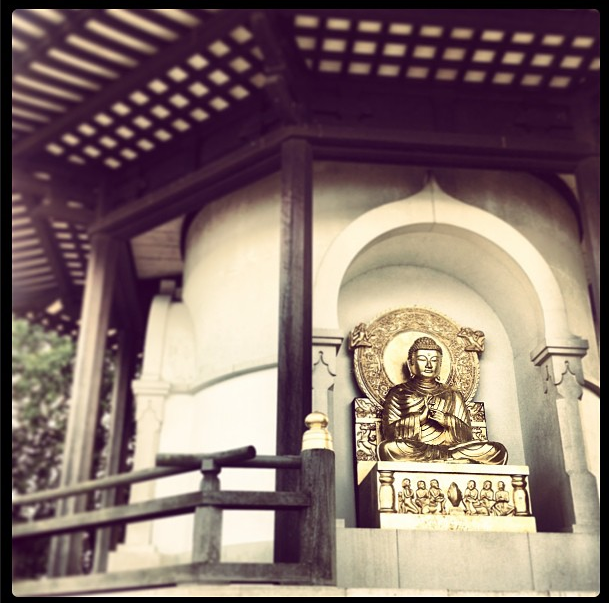 Battersea Peace Pagoda. 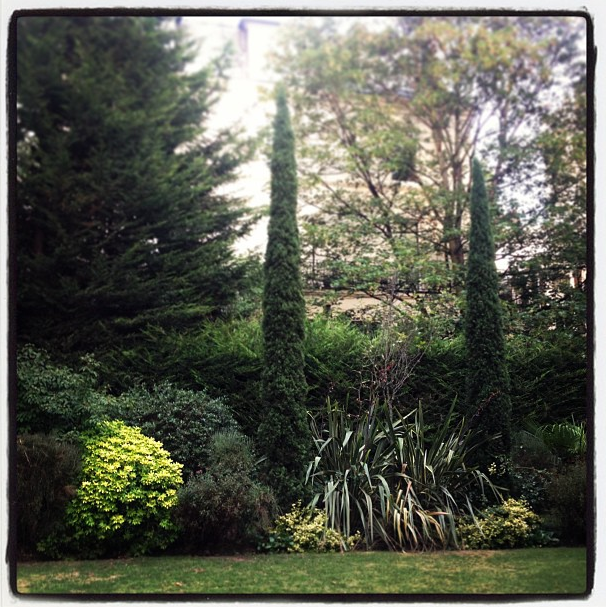 On my parents’ last day in London, we spent the day in Battersea Park, walking around the herb garden, the landscaped flower gardens and a children’s fun fair. We had 99 Flake ice creams and enjoyed the Summer weather before heading back to King’s Road for some tea, people watching and being amused by the loud and expensive cars racing down the street. This is a picture of the Peace Pagoda in the park – a monument to world peace. 18. 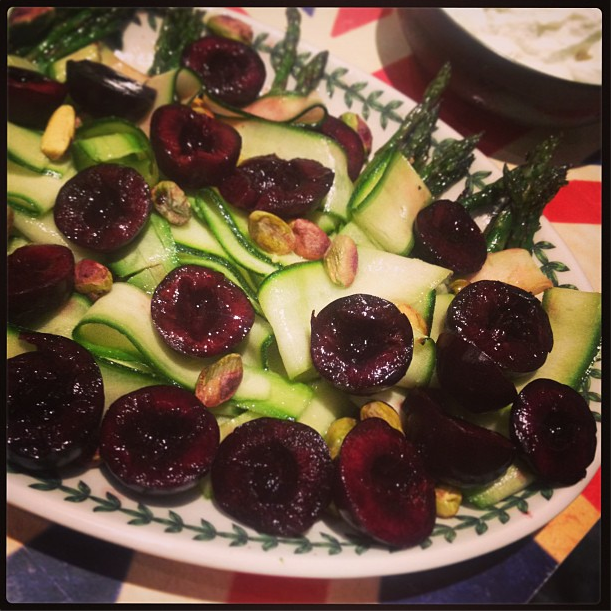 Asparagus, Cherry and Salted Ricotta Salad. I picked up a new cookbook called A Suitcase and a Spatula. This was a really tasty recipe, simple to make and full of interesting textures. The only hard part was finding dried, salted ricotta cheese, so we had ordinary ricotta cheese on the side which was still pretty delicious. The pistachios are a must!